A part of the SoftSwiss network and owned by Direx N.V, Oshi Casino is a place where the customer is not only right, they’re in charge. Unlike other bitcoin casinos that tell you what you you’re getting and what you should be playing, Oshi allows you to customise almost every aspect of your experience. From the size of your welcome to the bonus to the games you see on the screen, Oshi is a place where you dictate the pace. Because of that, this Government of Curacao licensed platform is the place for every player, regardless of their preferences, skill level or bankroll. If traditional layouts, filters and tabs are your thing then Oshi will get your proverbial juices flowing. Unlike many of its bitcoin casino peers, this site conforms to many of the design conventions that have proved popular in the iGaming industry over the last two decades. Although we’re not saying the interface looks dated, the overall layout is one that will look extremely familiar to players crossing over from standard currency platforms and into the cryptocurrency betting world. Now, the one thing we should point out about this bitcoin casino is that it’s split into two parts. Basically, when you land on the homepage, you’ll see the usual mix of bonus banners and game highlights. Additionally, you’ll see five carousels covering everything from “Hottest and Newest” games to “Luckiest” games and even a selection tailored to you and your preferences. Each of these options takes you in to the second area of the site, namely the gaming area. This is where you’ll find a complete list of games relevant to the header you just clicked. Once you’re inside the gaming area, there are filters galore to help you refine the lobby to show your perfect games. However, as we’ve already said, you will have to click back to the homepage if you want to change your gaming category which can be a little frustrating. Fortunately, that’s the only gripe we’ve got about the interface. The fact you can filter the games by type, betting limits, popularity and much more means it’s easy to search through the 790+ options available at Oshi. On top of this, the star feature is very useful. In the bottom left of each game box you’ll see an empty star icon. If you really enjoy that game, you can click the star and it will save it to your account for easy access at a later date which is great if you’re a regular looking to build up a bank of easy access favourites. If customising the interface to show your favourite games had you interested, then prepared to hooked because Oshi has taken this theme of doing things your own way and applied it to bonuses. Unlike other sites that simply say “here’s the welcome bonus”, Oshi Casino allows you to customise the deal to suit your circumstances. Using a slider, you can either opt for a larger match percentage, more spins or go somewhere in the middle. With each increment you move, the overall value of the bonus changes as does the minimum deposit requirement. In simple terms, if you opt for a larger match percentage, the minimum deposit is quite small. 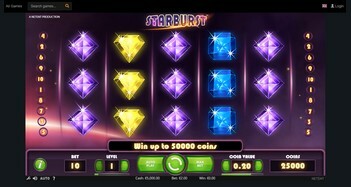 If you lean more towards free spins, the minimum deposit is slightly larger. Once you’ve created your perfect bonus, the software will generate a unique deposit code. Copy this, meet the minimum deposit and that’s it, the cash and spins are yours! Another neat trick Oshi has added to its interface is the MaxBet Protection feature. Whenever you claim an online casino bonus, the operator in question will impose certain release conditions on it. One of these conditions that people often aren’t aware of is the maximum bet. Any time you break this limit, the bet won’t count and, potentially, it could cause you to lose the bonus. To ensure no newbie falls foul of this, Oshi’s software will limit your bets automatically. So, each time you ante-up in a bid to work through the 40X wagering requirements, Oshi will auto set your bets so you don’t make a mistake. 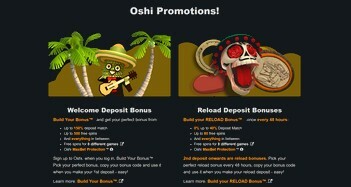 Now, if all that seems too good to be true, then get ready for something even more unbelievable (but that’s actually real): Oshi Casino also offers a “build your own reload bonus”. Operating on the same principles as the welcome offer, this deal allows to you unlock 40% match/80 free spins (or a mixture) once every 48 hours. Once you add this to the game-specific offers and invite-only VIP scheme, it’s easy to see why Oshi is one of the best bitcoin casinos for bonuses. 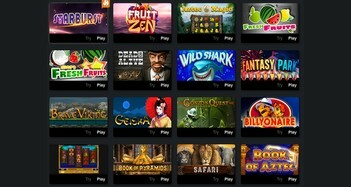 All of Oshi Casino’s 790+ games (except jackpot and live dealer) are available to play for free. However, if you want to win some real money and work through any onsite bonus, you’ll need to ante-up for real. This means creating an account, making a deposit and wagering at least 0.01 mBTC. Unlike some bitcoin casinos that allow BTC deposits but insist on making you place bets in another currency, Oshi lets you choose. Assuming you set-up your account to work in bitcoin, that’s the currency you’ll use at the table. Slots and Jackpots – If it’s high octane entertainment you’re looking for then Oshi has plenty of games to get your head in a spin. Slots and jackpot slots with prizes topping 760 BTC are Oshi’s speciality and, what’s more, you can play from as little as 0.01 mBTC per spin! Card Games – In this lobby you’ll find any card game that isn’t named blackjack. Video poker, pai gow, baccarat and a host of other casino classics are on hand from as little as 0.1 mBTC per round. 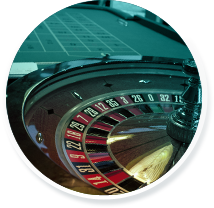 Roulette – Oshi offers a total of 15 bitcoin roulette options, with each one offering a different take on the game. 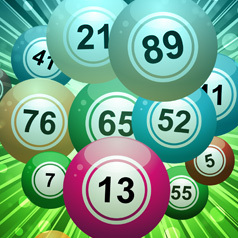 The majority of tables will have a traditional dynamic, but options such as common draw and electronic allow you to place unique bets and win additional prizes. Blackjack – If you’re a fan of the number 21, Oshi has 18 different ways for you to take on the dealer in a race to that total. From European blackjack to bonus-based games like Pirate 21, you’ll easily find a variant to suit your style. 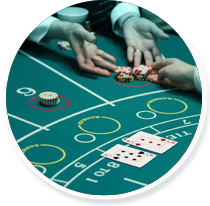 Live Casino – In total, you’ll find 20 live dealer games from a ranging from classics like blackjack and roulette to more innovative games such as lotteries and dice games. Every transaction you make at Oshi Casino will be protected by 128-bit SSL encryption. When you add to this the fact that bitcoin deposits are (virtually) anonymous and highly secure, you never have to worry about anyone stealing your personal details. In addition to offering secure deposits, Oshi has obtained a certification of fairness from iTech Labs. What does this mean? Well, in short, it means that every game and feature has been tested by an independent agency to ensure the results are random. On top of this, one of the companies behind Oshi, SoftSwiss, has a provably fair system that allows users to have their own input. Without delving into too much detail, you can actually use a testing tool to see how the random number generator works. By switching up a series of variables (clicking various options), the testing tool will spit out a series of random results so you can always be confident that everything is on the level. Oshi is first and foremost a bitcoin casino. This means that, even though you can make deposits in EUR, the best way to get your funds online is to send them from your bitcoin wallet. If you don’t already have a bitcoin wallet such as Cubits, Oshi will direct you to the best place. Once you’ve got some bitcoins online, you can send them to Oshi without any cost (you may have to pay external miner’s fees). The average deposit processing time is 10 minutes and once you’ve played some games and won some cash, you can make request a withdrawal. Following a review period of 24 hours, Oshi will typically send your bitcoins to your online wallet within a day. For a bitcoin casino that’s literally bursting at the seams, Oshi is the obvious choice. However, what’s truly great about this site is that it doesn’t simply throw you into the mix and let you fend for yourself. Through a combination of filters, favourite options and customisable bonuses, you can make Oshi into the bitcoin casino you really want. In short, Oshi is like a bitcoin buffet where you’ll have hundreds of dishes to choose from. The end result is a place where you can create a gaming feast that suits your palate perfectly.